Family graveside services for Rachel Bumgardner, of Hutchinson, will be held in the summer at Lakeside Cemetery in Herman, Minnesota. Rachel Lynn Bumgardner was born October 10, 1977 in Fergus Falls, Minnesota to Calvin & Edna (Hill) Bumgardner. Rachel received her education at the Herman Community School in Herman. 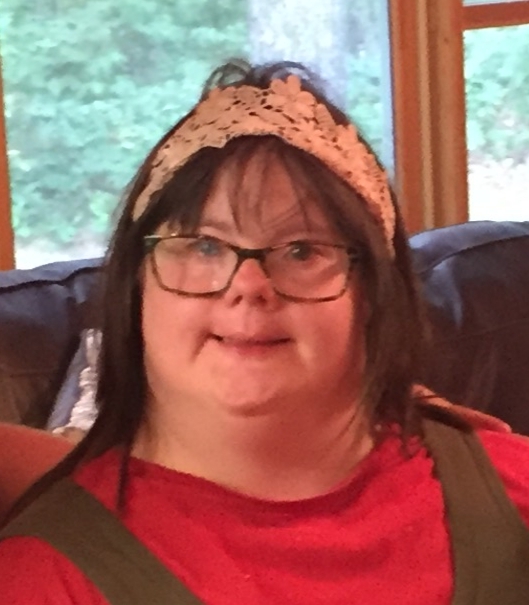 After her schooling, Rachel lived in various group homes, until 2004 when Rachel’s brother Larry and wife Barbara, became her Legal Guardians. A new chapter in her life then began when she moved to Hutchinson, Mn and Aveyron Homes. There she found employment with ATHC in both Hutchinson and Winsted and met more people whom became extended family to her. Rachel had a creative spirit and she shared that with her coloring books, stringing of beads, knitting, crafts and photo albums. Her Aveyron Century Home housemates, Paula, Katelyn & Dana, PC Linette Betker, Alison Kadelbach and RC Darlene Folger were her best friends and companions and their combined laughter, pranks and rivalry each day made her smile! Rachel passed away Thursday, April 4, 2019, at the age of 41, at Abbott Northwestern Hospital from complications of pneumonia. She was surrounded with love, as she slipped into the Arms of Jesus and was reunited with her mother Edna, whom she dearly missed! Rachel is survived by her father, Calvin Bumgardner and Stepmother Jan Bumgardner of Morris; her siblings: Geneve Richter and husband Doug of Amery, Wis., Dale and Linda (Severance) Bumgardner of Worthington, Mn, Julie Logan and special friend, Gary Stotesbury of Alexandria, Mn, Larry and Barbara (Bussler) Bumgardner of Park Rapids, Mn, James and Peggy (Hill) Bumgardner of Culver, OR, Charlie and Stephanie (Simmons) Bumgardner of Laporte, Mn, Rod and Dawn (Olson) Bumgardner of Elbow Lake, Mn; and many Nephews and Nieces, Great Nephews and Nieces, Aunts, Uncles, Cousins and Aveyron Century Home friends. Rachel is preceded in death by her beloved Mother, Edna Bumgardner, Uncle Melvin Bumgardner, Uncle Lester Hill, Maternal Grandparents George and Ida Hill and Paternal Grandparents Art and Ida Bumgardner. Pedersen Funeral Home in Morris is in charge of arrangements for Rachel.